If you are into healthy eating and have never heard of Washoku, hold on to your hats! The attributes of this eating plan may astonish you. Beyond that mouthwatering description, Washoku is an eating plan filled with vegetables (e.g., bamboo shoots, cucumbers, sweet potatoes, mushrooms) and tart and sweet fruits (e.g., melon, citrus). Grains such as rice, buckwheat and soba noodles as well as nuts (e.g., chestnuts) are key to this plan. Add to that a wide variety of fish (e.g., tuna, salmon) and soy products (e.g., tofu), both of which serve as the protein component of Washoku. Sounds healthy and delicious? You bet. 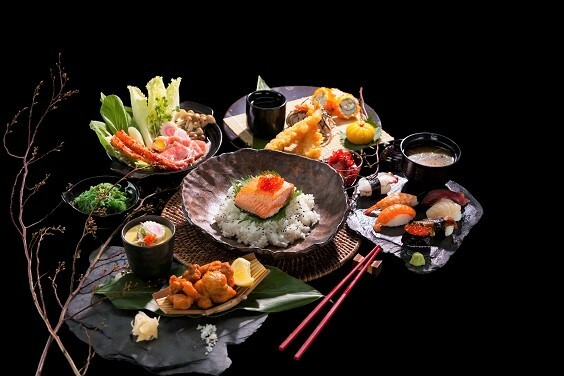 Many people, when thinking about traditional Japanese cuisine, are aware that Japan as a culture is known for its high intake of fish and soybean products and low intake of fat. Yet, as you can see from the examples of foods I just mentioned, the basic whole foods in the Washoku eating plan are very similar in composition to foods often suggested as part of the Mediterranean diet. The Mediterranean diet is similarly comprised of whole grains, fruits, vegetables, beans, nuts and seafood, and both pretty much exclude red meat and sweets. However, one significant difference is that the Washoku plan focuses as heavily on flavor as it does the nutritional composition of the food. But Washoku is much, much more than a social practice, and while it is characteristic of Japanese cuisine it is best defined as an exceptionally flavorful and healthful eating plan. So, considering the fact that Japan is among the nations with the highest average life span for both men and women, I encourage you to learn more about the benefits of traditional Japanese cuisine (specifically Washoku). Start with your own Google-ing about these delicious Japanese foods and flavors: sushi, miso soup, ramen noodles, tempura, Kobe beef, soba and udon noodles, tofu, sukiyaki, kombu, bonito, konomono, mirin, wasabi, dashi, mochi, and of course umami! The more educated you become about Japanese cuisine I guarantee you’ll soon be proclaiming, “Oishii!” (meaning, of course, “the food tastes delicious!”).